14U - The athlete must be 14 or younger on September 1 of the current year. Times vary from season to season depending on the availability of coaches, facilities and families. There will be three practices per week, each lasting 1.5 - 2.0 hours. The 14U program uses a home and away uniform and the fee is $135.00. Used uniforms may be available at a discounted price. Uniforms must be paid for prior to ordering. 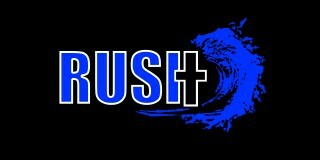 Check out this Basketball league 'Basketball - 14U' with RUSH!